Whether new construction, historic restoration, or renovation/adaptive reuse, Design Associates’ approach frees each client and project from dogmatic formulas and lets architectural design excellence thrive. Practical, workable, and buildable alternatives are set forth in response to client input at every step of project development. Design Associates’ guidance and understanding lead to the best use solutions. Long considered the preeminent architectural firm on Nantucket Island, Design Associates began exporting its refined expertise throughout New England with the establishment of the firm’s second office in Cambridge, Massachusetts in 1983. Clients include private real estate owners and developers, municipalities and institutions who seek out Design Associates both for its demonstrated sensitivity to New England’s historic fabric and this energetic team’s ability to create new buildings worthy of future preservation. 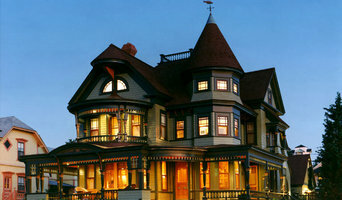 Hundreds of well-designed, custom single-family homes, hotels, inns, and country clubs, restaurants, recreational facilities, day-care centers, and many other institutional, commercial, and mixed-use projects are the firm’s distinctive, classic New England style--a signature which deftly balances history, architecture, and modern context. In recognition of Design Associates’ creativity and technical competency, since 1980 the firm has provided architectural services and consulting for “This Old House”, a nationally syndicated production of WGBH-TV/Boston. The firm’s work has also been published in Historic Preservation, Cape Cod Home and Garden, Cape Cod Life, House and Garden, House Beautiful, Boston Magazine, Home, Traditional Home, Martha’s Vineyard Magazine, Nantucket Journal, This Old House Magazine and included in books such as The Timber Frame House, Nantucket Gardens & Houses, This Old House Kitchens, This Old House Bathrooms and Shingle Style Houses, Past and Present. I-Kanda Architects is an award-winning architectural design practice founded by Isamu & Marley Kanda, following graduation from the Harvard University Graduate School of Design. The Boston based firm’s work has graced the covers of Boston Home Magazine and Boston Globe Magazine, as well as being published in Dwell, Dezeen and Azure. In 2017 the firm received the AIA Design Honor Award by the Boston chapter of the American Institute of Architects. In 2018 the firm received the Best of Boston Home Award for Urban Architect, and was selected as "Next Progressives" by Architect Magazine. The firm approaches each project as a new array of needs and desires out of which to conceive uniquely enhanced structures. Their aim is to turn constraints into possibilities - to work with clients, builders and sites to realize ideas far beyond anyone’s initial hopes. The firm creates buildings and spaces that are modern, yet enduring – equal parts purpose and sculpture; broadly ranging from lofty barn conversions to Back Bay penthouses, boutique storefronts to mountain-side cabins. CREATING UNIQUE, MEANINGFUL, AND TIMELESS SPACES steines architecture provides modern, sophisticated and creative design solutions to every project. Designing for the individual needs of our clients is our first goal. We love to work on unusual, distinctive design, small or big, from concept to detail. Sustainable and energy efficient design is an integrated part of our work. We are working closely with landscape architects, engineers and other design professionals to achieve the ideal project outcome within budget and time frame every owner envisions. 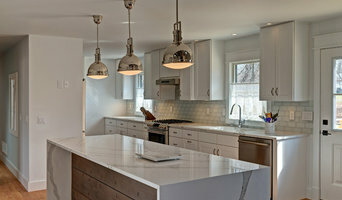 Through her connection to a variety of architectural offices & her own professional practice, Stephanie Fox has extensive experience in kitchen and bath renovations, additions & custom homes. Mahoney Architects is a small architectural firm dedicated to designing high quality, memorable residences. We have been designing for 15 years and have experience in new homes, renovations of all sizes, both new and old, traditional and modern. We are a full service design build firm that has been around for 33 years. We pride ourselves in designing and building custom waterfront homes. The Envision Homes philosophy of custom design means that every home is tailored to each homeowner's specific lifestyle and budget. Our custom homes include a wide range of architectural styles! We are committed to providing the best design solutions for the home owners needs. With a background in engineering, it enables us to better address complex designs and energy retrofits. With over 33 years in the architectural design field, the Downer / Associates team provides the most respected architectural design services in Cambridge, MA. Downer / Associates offers complete and “a la carte” architectural design services from site analysis to custom cabinetry for all types of residential projects. Whether it is redesigning an existing floor layout to better fit the clients’ lifestyle, finding ways to re-purpose unused or underused existing space, or designing a thoughtful addition that accommodates a family’s changing needs, Downer / Associates will assist the homeowners in creating a beautiful, functional, and sustainable home. Serving Cambridge, Winchester, and Greater Boston. 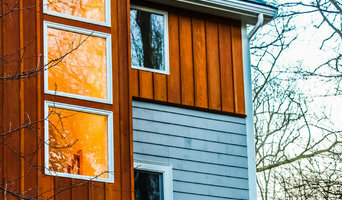 By listening to our Clients' needs and desires, exploring imaginative design solutions, choosing appropriate systems and materials, and partnering with quality contractors dedicated to craftsmanship, we help our Clients create beautiful, comfortable, and energy-efficient homes. Full service residential design firm in historical and traditional seaside community, taking a traditional design sense and reinterpreting it for the modern world. Narlee Design specializes in residential & commercial architecture and client-focused design. Our clients' wants and needs are our top priority when going through the design process. A full service residential design studio that strives to produce thoughtful and creative solutions that respond to the diverse needs of our clients. We specialize in cozy, energy efficient and “green” construction and have experience in deep energy retrofits and affordable housing projects. Oldenburg Architecture is a full-service architecture firm with nearly 20 years of experience in residential and commercial projects in the Greater Boston area and Cape Cod. Our studio is located in the AVA Gallery & Art Center in Lebanon, NH. We are committed to bringing design excellence coupled with the latest in energy efficiency & sustainability to all our clients. Leonardi Aray Architects LLC (LAA) communicates clients' values through design. Our process includes sharing perspectives, building consensus and then offering a variety of scenarios and options. The firm, located by Inman Square, Cambridge, has designed residential structures to fit the client’s programmatic needs and budget while expressing an aesthetic valuable to the occupants. LAA seeks to be engaged with community development and creation of civic landmarks. Leonardi Aray, AIA, leads the operations and design efforts of the firm. Whether it is a home addition or an urban design intervention, he identifies the challenges and opportunities associated with every project. Prior to LAA, Leonardi worked on projects nationwide for various Boston-based firms. Project experience includes master planning initiatives, extensive housing design and construction work for projects as large as 200-unit housing development. Recently, Leonardi has been providing consulting services to Massachusetts Municipal Affordable Housing Trusts. Leonardi is an active member of the Boston Society of Architects, has served on the Envision Cambridge Housing Working Group and is a member of the executive committee of the Massachusetts Association of Consulting Planners. Leonardi holds a bachelor degree of Architecture from Universidad Simon Bolivar, Caracas, Venezuela and earned a Master of Community Planning from the University of Rhode Island. LAA team members: Michele Adrian, AIA, LEED Green Assoc. (former) Jenniffer Marichal, Interior Design Jonette Mamba, Interior Design (former) Joseph Panetta, AIA A pool of consultants, designers and construction experts support the work of the firm on a regular basis. Adaptdesign is a Portsmouth, NH based Design Studio focusing on design that sustainably adapts your program to the conditions of a site. Claire's Perspective is a multifaceted architectural and interior design management firm specializing in customizable interior/exterior design or project management services. We are a full service architectural and interior design practice, located in Brookline, MA. All that we are passionate about is creating timeless architecture that speaks uniquely of the individual who owns it. We provide conceptual design, budgeting, planning and project management for new construction and renovation projects. 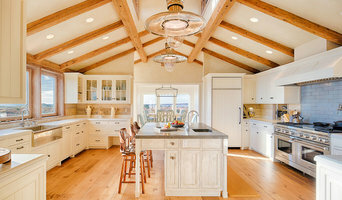 We also specialize in lighting design, kitchen design, bathroom design, cabinetry and millwork design. Frank Shirley Architects offers clients decades of experience in high-end residential architecture. The firm balances an appreciation of traditional proportions, crafts, and materials with a command of the latest and most cost effective sustainability technology. Our approach yields elegant designs, sound structures, and satisfied clients. New Homes from 1.5 Million to 6 Million. Home Renovations from $250,000 to 3 Million. Historical Restorations from $250,000 to 3 Million. Kitchens from $75,000 to $350,000. These are estimates only based on experience and your actual costs may vary depending on the scope of your project. Frank Shirley Architects provides complete architectural services, from master planning and conceptual design to completion, including interior and cabinetry design. Contact us for a consultation about your project. We guide and facilitate our clients through the entire design and construction process, advocating for the use of quality materials and collaborating with trusted and experienced craftsmen.